A long-serving solicitor has been allowed to use a leaked internal email and overheard pub conversation as evidence for a discrimination claim against his former firm. The email included advice that the firm could use a genuine redundancy exercise as a “cloak” to dismiss the solicitor, according to Mrs Justice Slade. Sitting in the Employment Appeal Tribunal, she ruled that this was sufficient evidence of an iniquity that the law firm could not claim legal professional privilege over the email. Neither the solicitor nor firm were named in the ruling, which was an appeal against Employment Judge Tsamados’s decision to strike out the paragraphs of the claim that depended on the email. He ruled that legal professional privilege was not lost due the iniquity principle – that is, advice sought or given for the purpose of effecting iniquity is not privileged. The claimant ‘X’ was employed by ‘Y’ firm as a lawyer for 27 years until his dismissal on 31 January 2017. He suffered from type 2 diabetes and obstructive sleep apnoea. The employment judge recorded that, from 2011, there were ongoing concerns about X’s performance at work. He claimed that measures taken by the firm amounted to disability discrimination and/or failure to make reasonable adjustments, and issued a claim in August 2015. In January 2016, he also raised a grievance. A grievance hearing took place in March 2016 and an outcome letter sent in June. However, in April 2016, the firm announced a programme of voluntary redundancy. Having been unsuccessful in applying for certain roles, the claimant was placed in a redundancy consultation process. 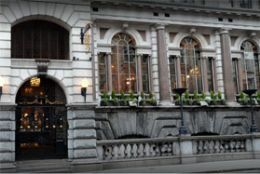 The following month, the solicitor said he overheard a conversation in the Old Bank of England pub on Fleet Street – a well-known watering hole for lawyers by the Royal Courts of Justice – in which one woman told another she was dealing with a disability discrimination complaint by a senior lawyer at Y Ltd.
She said there was a good opportunity to manage X out by severance or redundancy as there was a big reorganisation underway as a result of Y’s acquisition of another firm. Slade J said the claimant relied on this conversation “to interpret” a copy of the email which he was sent anonymously by post in late October 2016. Shortly after, the firm terminated X’s employment by reason of redundancy. He submitted a second claim to the ET alleging further disability discrimination, victimisation and unfair dismissal. Slade J ruled that the employment judge had misinterpreted the email, which was not reproduced in the judgment. “If the claimant were to be dismissed by proper application of a redundancy selection procedure, there would have been no need to write that ‘there is at least a wider reorganisation and process at play that we could put this into the context of’. “Further in a genuine redundancy dismissal there would be no need to say ‘Otherwise we risk impasse and proceedings with ongoing employment with no obvious resolution’. The question was then whether the email breached the iniquity principle. Slade J said that given her finding of the purpose of the email, “a strong prima facie case has been established that what is advised is not only an attempted deception of the claimant but also, if persisted in, deception of an employment tribunal in likely and anticipated legal proceedings”. She continued: “The email does not record any advice on neutral selection criteria for redundancy. It concentrates exclusively on how the redundancy can be used to rid the respondent of ongoing allegations of discrimination by the claimant and of underperformance which he stated are related to his disability and failure to make reasonable adjustments. This crossed “the high bar of a strong prima facie case of iniquity”, Slade J concluded.